ooh ilove it!! gorrrgeous colours love! OMG!!! these colors are bleepin' gorgeous!! 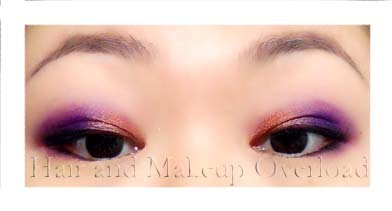 i love how you combined purple and bronze i would never think to use those two colors for eye shadow together but you combined them beautifully! OHH what bronze did you use for your eyes! They look gorgeous!